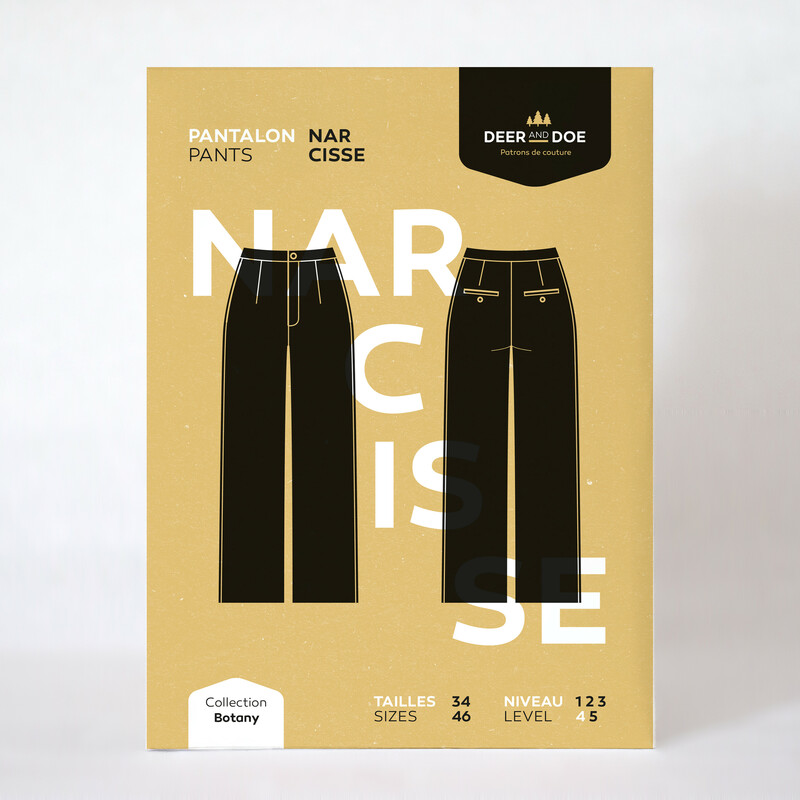 Sister Mintaka presents the Narcisse Pants by Deer and Doe. 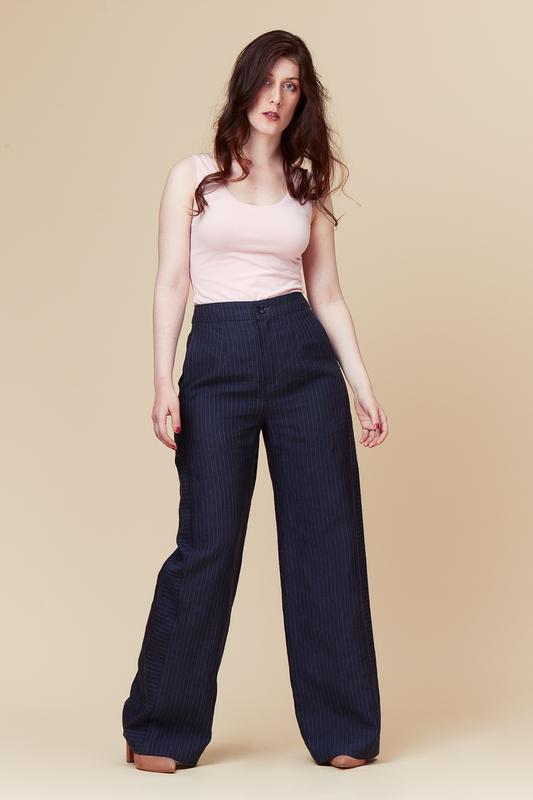 The Narcisse Pants are a high-waisted wide-leg trouser. 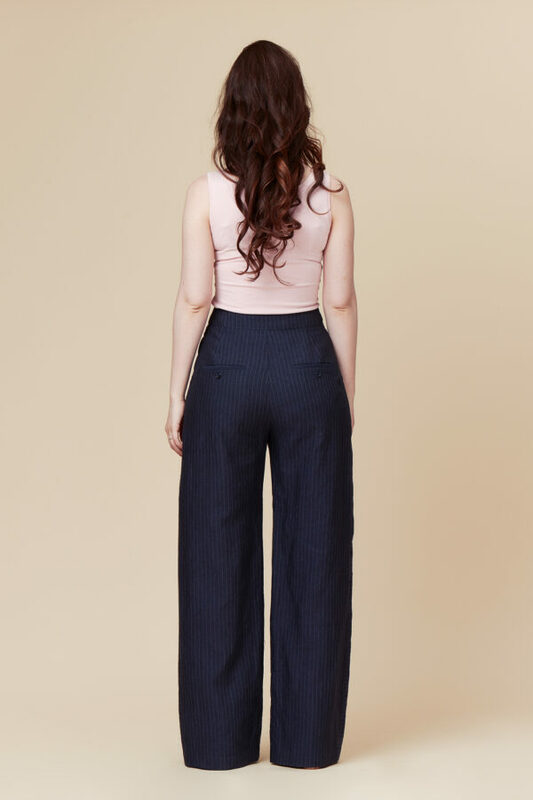 They feature a decorative side panel, inseam front pockets, and single-welt pockets in the back. 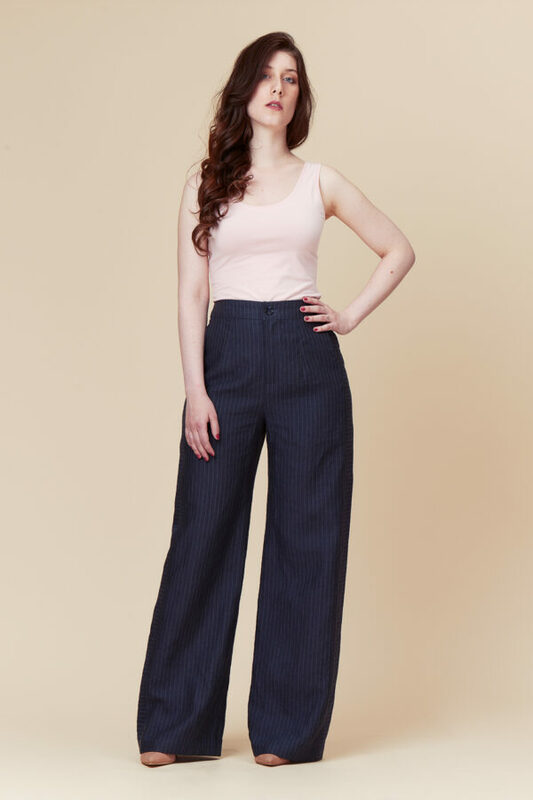 Main Fabric: Woven fabrics such as denim, chambray, linen, lightweight cotton twill.